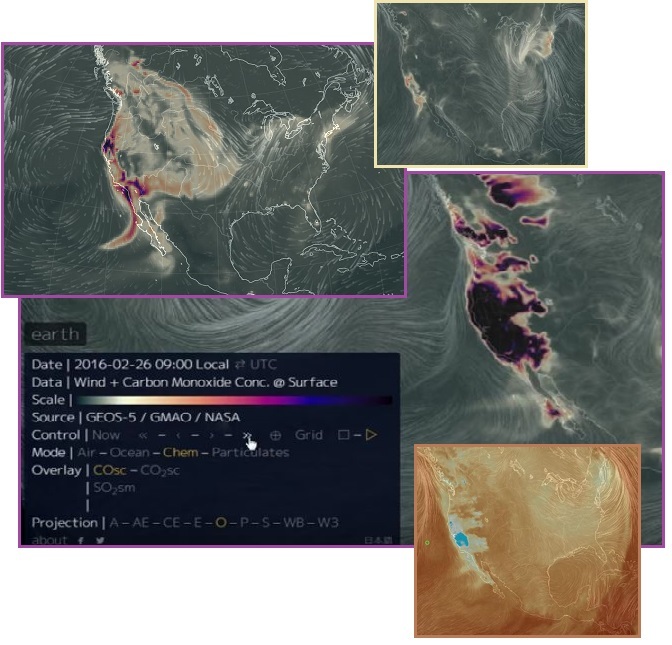 On February 25, GEOS and other satellites detected a massive amount of CO (Carbon Monoxide) emitting from the West Coast of the N American continent. This was not just along the coastline, but was several states or provinces deep, from Mexico to Canada. This distress along the West Coast was shown by CO (Carbon Monoxide) charts as well as CO2 (Carbon Dioxide) charts and SO2 (Sulfur Dioxide) charts. The CO emissions were extreme, 180 times normal, and were causing distress in the human population affected who were reporting feeling sleepy, tired, and having bright red skin – all signs of CO poisoning. It was also clear these emissions were coming from the ground. A week later, on March 3, 2016 NASA cobbled together their anticipated excuse. It was all a satellite failure! Never mind that the satellite only seemed to malfunction when over the West Coast of the US. Carbon Monoxide Spikes to 27,000+ Where "Usual" is only around 150 on West Coast - May Signal Coming MASSIVE Earthquake. Scientists are working feverishly to try to determine the cause, but, they say a consensus is quickly developing: The earth itself is emitting this gas and it is being released into the atmosphere via seismic fault lines; cracks in the earth's surface where tectonic plates rub together. If levels continue to rise as they presently are, people could be overcome, pass out and die from this. As of 11:00 PM eastern US time on 27 February, 2016, there is no other place on the entire planet with Carbon Monoxide levels this bad or this widespread. It is completely unprecedented! The Zetas have continually stressed that the N American continent is being pulled into a bow shape by the plate movements caused by the daily Earth wobble. The Atlantic pulls apart, the Pacific compresses, but the N American Plate cannot roll during this process because of its flat top. Thus, there is bow stress on the continent which will only be relieved by a New Madrid adjustment. ZetaTalk Explanation 3/5/2016: We have stressed the bow tension in the N American Plate, which cannot roll as it has a flat top, and can only endure the distress of being pulled into a bow as the Aleutian Islands are pulled toward the tip of Mexico. The center of this bow is near San Diego and LA, where fracturing rock has recently caused a natural gas rupture at Porter Ranch. The tension in this bow will not be released until the N American Plate rips, diagonally, along the New Madrid Fault Line. This will allow the SW portion of the continent to move westward, while the NE portion remains attached to its present moorings. The most notable response around the world to stress in the rock from being pulled apart or compressed has been methane release, which has resulted in dramatic beams of light. The West Coast of the N American Plate certainly has trapped vegetative material between rock layers during the many time the Pacific and Juan de Fuca plates have pushed under the N American Plate. 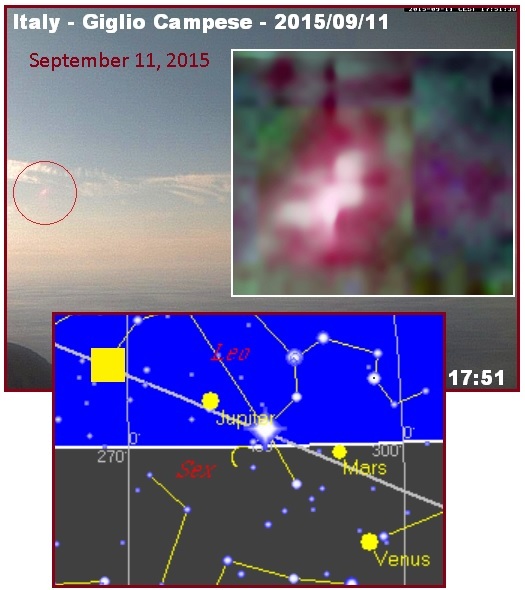 Does CO accompany this methane release? Methane gas results from the decomposition of buried material, a decomposition process that proceeds without oxygen. Thus CO, rather than CO2, would likely accompany methane. But the gases being emitted and recorded on February 25 are also typical for volcanic releases. 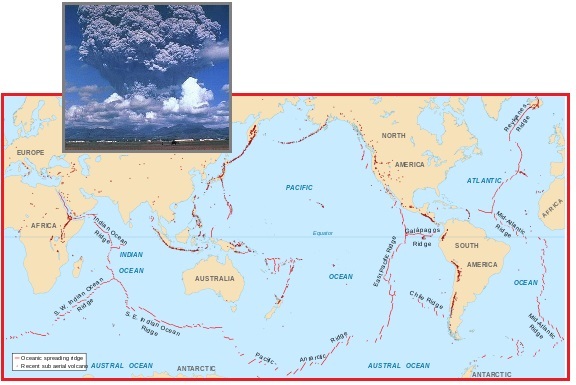 The region affected by the February 25 releases is also noted for volcanic activity and in fact, exactly outlines the region affected. Common gases released from volcanic fissures and craters include sulfur dioxide, carbon monoxide, carbon dioxide, hydrogen sulfide and water vapor. The concentrations of different volcanic gases can vary considerably from one volcano to the next. Water vapor is typically the most abundant volcanic gas, followed by carbon dioxide and sulfur dioxide. So what is causing the West Coast gasses? A pending earthquake along the San Andreas? A pending volcanic eruption? Per the Zetas, both are pending, but since the bowing of the N American Plate will only be relieved by the New Madrid adjustment, this must come early in the process. ZetaTalk Explanation 3/5/2016: There are numerous emissions registering up and down the West Coast, starting on February 25, where the rock is fracturing under this tension. Carbon Monoxide levels, up to 180 times higher than normal, are being recorded and causing distress among the residents. That this is coming from the ground is not being denied. Is the new Madrid about to slip, or will this tension continue to build? Both will happen, but this situation will undulate. Sliding and rupturing is occurring between rock layers all the way to the East Coast, so the CO emissions may also register there at times. Just when the tension will result in a significant New Madrid adjustment we are not allowed to say, but this is clearly in the near future. Another example of stress at the bow center is the Porter Ranch drama near LA. Commercial natural gas is collected from the Porter Ranch area, and methane gas is naturally present in the mix. Due to what is being called a broken pipe, both gasses are spewing in abundance, driving the residents in the area to vacate. Methane gas, after all, smells like rotten eggs. Per the Zetas, Porter Ranch problems are also attributable to the N American bow stress, and all this is only going to get worse, which it did! The well, one of 115 at the sprawling storage facility, has been leaking since Oct. 23, sending methane into the atmosphere above the Los Angeles Basin. The gas has a noxious additive that has also entered the air, prompting residents' complaints of a rotten egg-like smell. The company has tried several times to plug the well, but those efforts were unsuccessful. Since early December, the utility has been drilling a relief well to intercept gas from the damaged one and seal it. 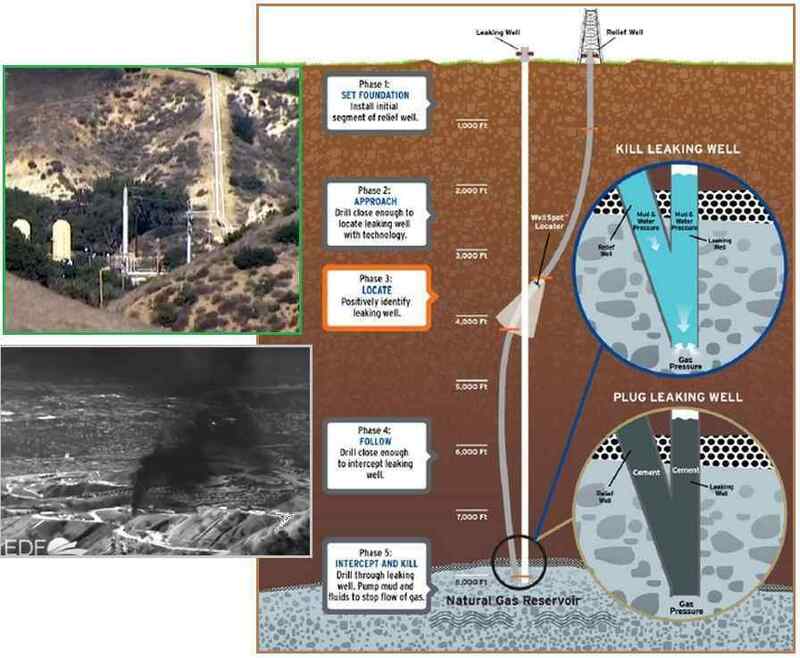 In a breaking development that has been completely ignored by mainstream news sources, the leaking natural gas well near Los Angeles, California is now reportedly spewing lethal levels of radioactive material. This rogue well is spewing huge amounts of natural gas and about 1.91 curies an hour of natural radioactive material in the natural gas. Methane makes up the largest component of natural gas, which is both invisible and odorless. alarmists have claimed the leak is far more serious than health officials are letting on, citing the radioactive material such as uranium and radon in the natural gas. Ongoing efforts to plug the well have been unsuccessful. Southern California Gas crews are in the process of drilling a relief well to seal off the damaged one. Work is expected to be completed by late February. In January, the gas company abandoned a plan to capture and burn the leaking methane after regulators raised concerns about safety and explosion risk. ZetaTalk Insight 2/13/2016: We have described the destruction that awaits Iraq at some point during the 8 of 10 phase, wherein the pointed tip of the Arabian Plate turns during the African Roll, ripping open the oil and gas fields there, creating a holocaust. This is of course not the only part of the globe to foster such a holocaust. California is in the center of the bow that the N American continent is being forced to assume, prior to the rip along the great New Madrid Fault Line in the center of the continent. We have described this center as being at San Diego, but Los Angeles is just nearby. During prior Pole Shifts, the compressing Pacific forced California to push up while rock layers subducted beneath the coastal mountains. This trapped vegetation, included kelp and seaweed from the Pacific Ocean, which when rotting became vast pools of methane and natural gas. The natural beauty of the Los Angeles basin and beaches and the temperate climate have allowed Los Angeles to attract a huge population, now put at risk. Will the increasing tension of the N American bow and the near proximity of the San Andreas Fault Line incite a blowout? When earthquakes strike a large city, there are invariably fires, especially in a city serviced by natural gas. Electrical wires, snapped during the quake, can start fires but when all is in motion, sparks are everywhere. It is inevitable that a vented pool of methane and gas will spew, during the pressure of the moving San Andreas, and even if capped, this will be forced open by the pressure of the plate movement. Fortunately for the residents of Porter Ranch, they will have moved out of the area by this time, to escape the smell! 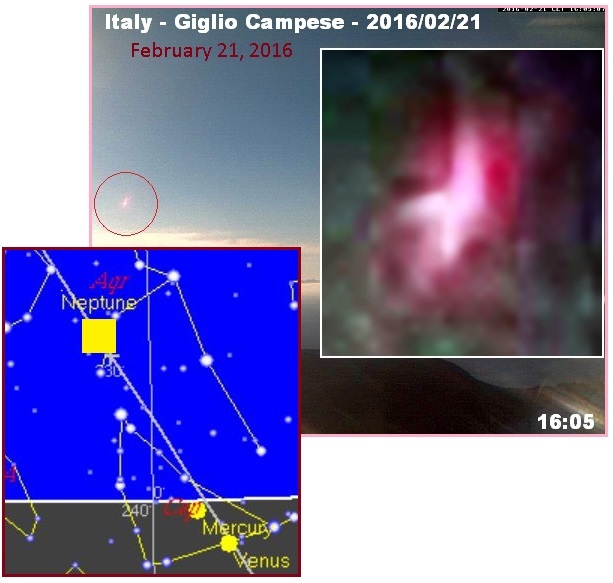 Certain webcams, notably in Italy and France, allow a good view of Nibiru at sunset, as this faithful Pole Shift ning blog documents. Nibiru shows up as a pink orb, often in its double helix shape when the two dominant Moon Swirls that curl off to either side are visible. 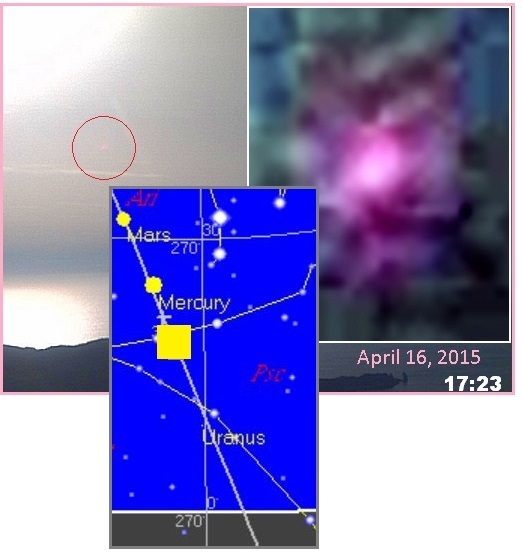 Given the slant of the Ecliptic at sundown, from upper left to lower right, Nibiru is consistently appearing at the 4 o’clock position to the Sun. 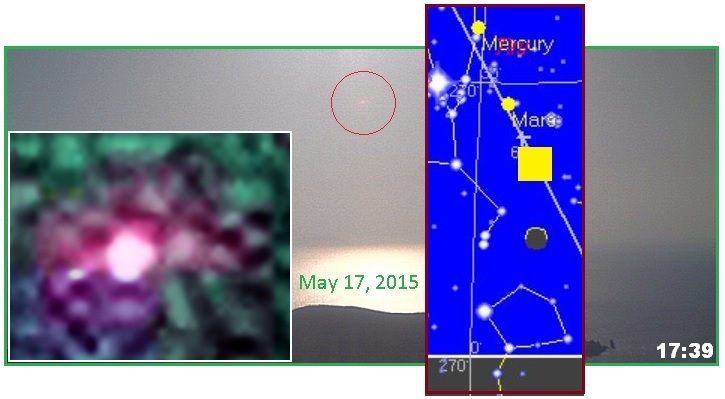 This is not the Moon, which appears during May, 2015 but not thereafter. It is not Venus or Mars or any other planet. There is only one conclusion to be drawn, this is Nibiru, seen in the view toward the Sun, surrounded by red dust and its Moon Swirls, and drawing ever closer to the Earth. 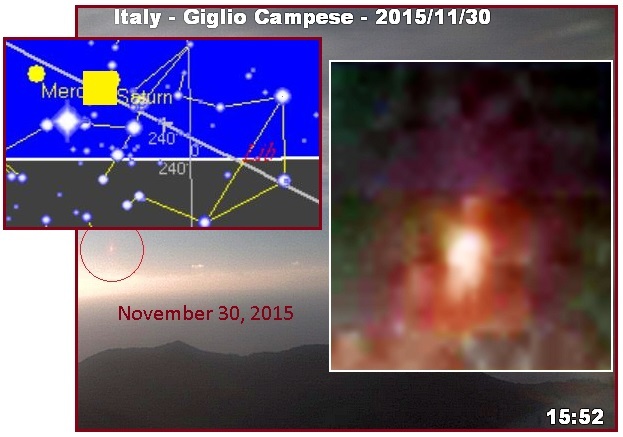 Nibiru follows the Sun, through the seasons, which can be seen from the year in review. As the Sun moves south during the Winter, the webcam follows it, and more of the island can be seen. In Summer, only the northern tip of the island is seen in the cam. 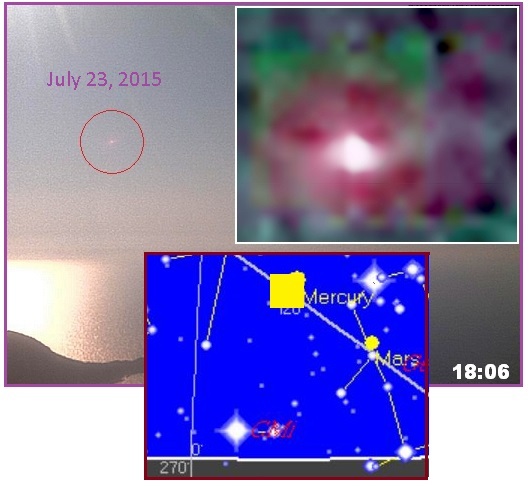 Yet Nibiru follows the Sun, consistently. 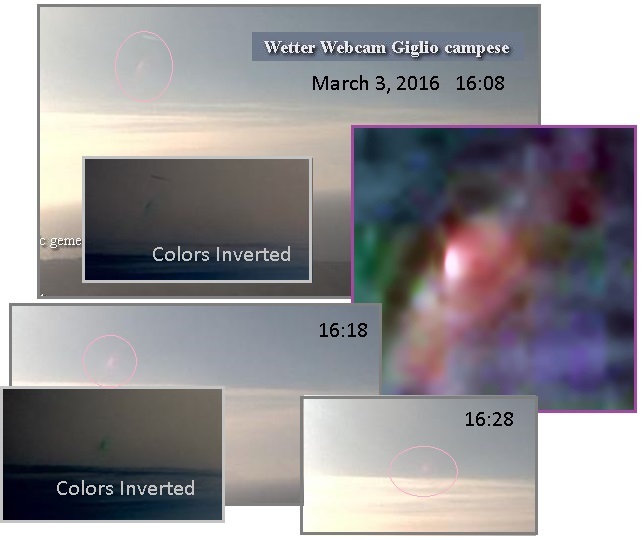 The Italy webcam is periodically taken offline, or pointed elsewhere, particularly during the crucial hour when Nibiru is visible. This happened again in late February, 2016. Perhaps it has become too visible, too obvious. The cover-up is alive and well, but apparently truth has its advocates and the webcam has, in the past, been returned to its crucial view. We hope for its return this time. And lo, by March 2, 2016 it returned, dragging its double helix behind it! One can only imagine the battles going on behind the scenes. But once again, the good guys won. Truth prevailed! Pope Francis and Donald Trump got into it on the issue of immigration. This is a hot button with the Pope, who per the Zetas has talked to many Head of State imploring them to consider the innocents who might arrive at their borders. He’s talked to Putin about this issue. Pope Francis has taken on capitolism and advocated for wealth distribution. Pope Francis has taken on the Vatican’s rules against remarriage and homosexual unions, and advocated normalizing relations with Cuba. Pope Francis has embraced little green men from Mars, saying he would baptize them if they wished. So why should he shy away from taking on an orange headed monster - The Donald himself? 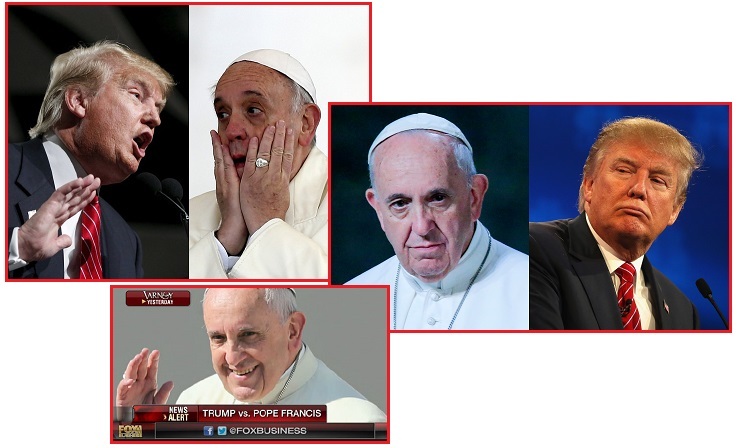 Donald Trump Vs. Pope Francis: HOLY WAR! 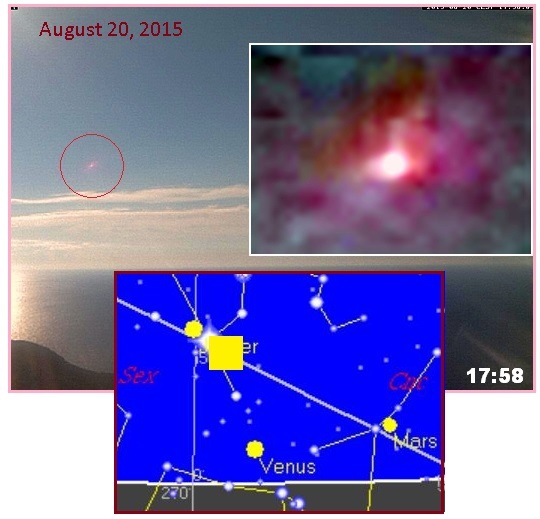 Per the Zetas, both Pope Francis and Trump are aware of the pending passage of Nibiru. Those in the establishment and having great wealth are surely in the know. Heads of state have been aware of Nibiru since 2003 when they were informed by Bush. Thus the Pope is clearly aware that many islands in the Caribbean and the whole of Central America will be devastated during the coming passage, and many refugees will be looking to the lands in the US for refuge. Would a President Trump build a wall against this desperation? ZetaTalk Opinion 2/20/2016: Of course the pending passage of Nibiru, aka Planet X is discussed anytime the Pope counsels a Head of State. We have explained since the Fall of 2003, when George W Bush informed Heads of State about the pending passage during a world meeting in France, called ostensibly to mend fences over the invasion of Iraq, that Heads of State are aware. Beyond the public sermons the Pope grants, which get good press, these private meetings with Heads of State are an opportunity to counsel those in positions of power and influence to do good. But what must be born in mind is that the Pope can only counsel, he cannot dictate. The Zetas hold Pope Francis in the highest regard for his consistent Service-to-Other message. ZetaTalk Opinion 2/20/2016: Pope Francis is highly Service-to-Other, on par with some of the greatest souls who have visited Earth in the past to provide guidance to mankind where so many young souls struggle to choose the right path. His message is one of love, to lead with compassion. Rather than place barriers against those in need, assist them, sharing resources and providing shelter and opportunity. Pope Francis seeks to break down political and religious barriers, which have been erected in most cases for gain by the elite. Rules, and territoriality, are so often the tools of the Service-to-Self. While in Mexico he showed his hand once again, encouraging convicts to become “prophets” for good and thus lead people to a better way of life. Pope Francis in Mexico - Give the Pope a Sombrero! Pope Francis is on a six-day trip to Mexico where he will symbolically trace the path of migrants and bring comfort to a population besieged by drug wars and official corruption. Pope Francis has told prisoners in a notorious Mexican prison to become 'prophets' and to use their experiences through 'hell' to help the country break its cycle of violence. 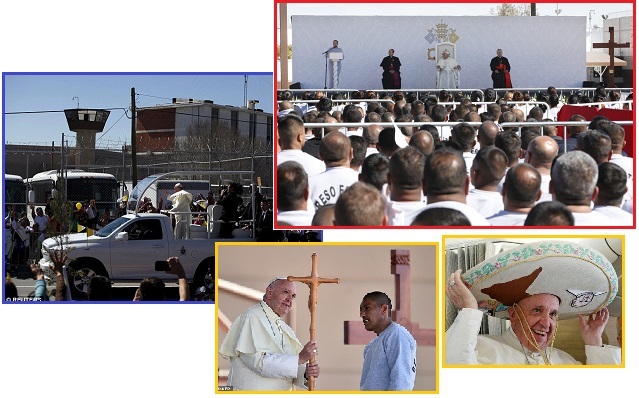 Francis made his plea at the state penitentiary of Ciudad Juarez, a city once known as the world's murder capital, days after a riot killed 49 inmates at another Mexican prison. He visited its newly-painted chapel and addressed hundreds assembled in the prison yard, telling them they should use their experiences to help 'put end to this cycle of violence and exclusion. 'The one who has suffered the greatest pain, and we could say "has experienced hell," can become a prophet in society.' The pope argued that a country's security problem 'is not resolved only by incarcerating,' arguing that the structural and cultural causes of crime must be addressed. This is a theme among some CNN Heroes, who work with former inmates to turn their lives around. Motivation, and empathy, is strongest among those who have suffered the most. For them, it is not just words, but survivors reaching out to help others survive. 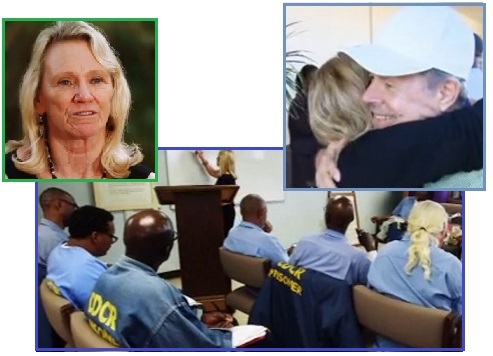 Collette Carroll runs a pre and post release relationships program at San Quentin. “They start to care about themselves, they start to care about the people they hurt. And then we move forward with life skills, and setting them on to succeed.” Colette states that those who have stayed in touch have not returned to prison. She says “Any life is worth helping”.